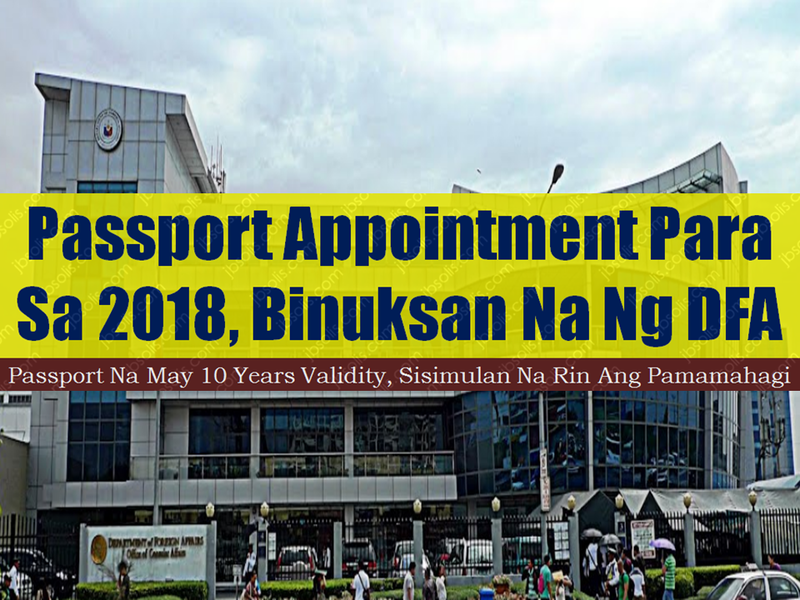 The Department of Foreign Affairs has now open online apppointment for Filipinos who wish to apply or renew their passports. Starting January 2018, the Department of Foreign Affairs (DFA) will be issuing Philippine passports with 10-year validity pursuant to Republic Act 10928 signed by President Rodrigo Duterte. The passport fees remain the same: P 950.00 for regular processing (20 working days) and P 1,200.00 for express processing (10 working days). To know how to set an appointment for passport application or renewal click here.